The Lunar New Year is fast approaching and I'd like to start off with the many popular historical Chinese series currently airing. I'm so happy that my evenings are filled with nary a dull moment with so many things to watch! For a complete list of wuxias from 1993-2014, click here. For 2016 onwards, click here. During the puppet regime under the Japanese occupation, Communist and Nationalist operatives become embroiled in a revolution. Ming Tai, Ming Lou and Ming Jing are three siblings in an era of spies and deception. What more can be said? If you like Nirvana in Fire, you might like this. Check out our review. The title is quite self-explanatory, telling the tale of a demon hunter named Wu Xin (No Heart) whose identity is shrouded in mystery. I came across Monster Killer after a futile search for an episode of Legend of Zu and little did I know that it would turn out to be such an amazing find. Did anyone notice that Zhao Li Ying's character in Legend of Zu is also named Wu Xin (No Heart)? What an interesting coincidence, no? While Wu Xin Fa Shi is technically is not an wuxia, it is a period drama with action, romance, and adventure. It's always enjoyable to come in with no expectations only to be pleasantly surprised. The plot moves along fast. For example, I thought that the main villain cause unnecessary angst between the leads but we had none of that so far. The actors are were relatively unknown but I'm sure they are someone to look out for in the future. Apparently, Elvis Han was in the Romance of the Condor Heroes as one of the two disciples of Guo Jing and Huang Rong and I doubt anyone took a second glance back then. It might be a stretch to make this connection but the drama is fairly reminiscent of my favorite Korean movie Jeon Woo Chi, about a gallivanting wizard with powers that he used for good. Click for more stills. 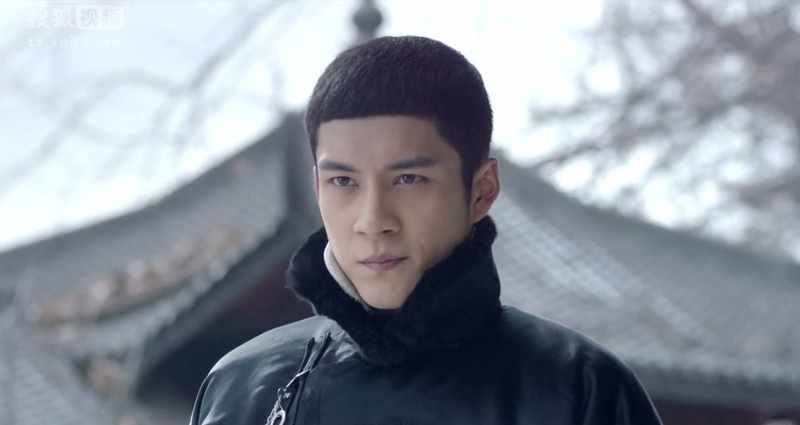 Ding Yin is born with a piece of the Chi Hun Stone enabling him to possess otherworldly powers. To ensure that his abilities do not fall into the wrong hands, Ding Yin is taken under the tutelage of the Zu Mountain Sect. Legend of Zu was released online in September but looks like it's for registered users only so I can't find it anywhere, yet. This is another fantasy wuxia starring Zhao Li Ying from Journey of Flower so if you couldn't get enough the first time... Click for more stills. Yin Qing Rou, a happy go lucky PA of a popular wuxia actress, time travels and falls right into the arms of a prince. She must learn to adapt to life in the palace as she charms her way through the hearts of everyone she meets. 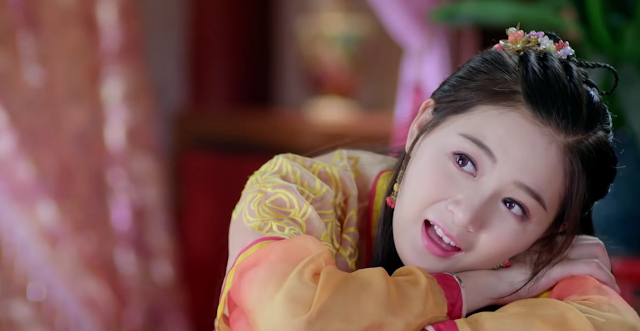 It's cute, sort of like Princess Pearl (Huan Zhu Ge Ge) without the heavy melodrama. Despite having a sickly stature, Mei Changsu has amassed many followers as the leader of the Jiangzuo Alliance. The Langya Hall has touted him as the divine talent with the ability to conquer the world. As a result, the two opposing parties fighting for the throne are desperately seeking his guidance. Armed with a personal vendetta, Mei Changsu becomes embroiled in the eternal struggle for political power. The beginning episodes were a visual feat, as is expected of c-dramas nowadays while the story progression was slow, which was the opposite of Six Flying Dragons where I was constantly at the edge of my seat. Not to say that one is better than the other because I ended up loving both and find them quite at par. The storyline is what drew me in considering I did not really care for most of the cast prior to watching. Nevertheless, their portrayal was so captivating that I was won over completely. Nirvana in Fire is a serious revenge drama but I'm glad that it doesn't forget the humor. The interactions between the characters are actually pretty funny especially the bromance between Changsu and Meng Zhi or Changsu and Fei Liu or Changsu and his many other lackeys. If you like political dramas, Mei Changsu is a brilliant strategist and it is exciting to see how he plots each takedown. Wu Lei, the fifteen year-old who plays little bodyguard Fei Liu is definitely a scene stealer as well. Comments: If you like romance novels, you might like this adaptation of the renowned novel by Tong Hua who also wrote Ballad of the Desert and Bu Bu Jingxin coincidentally both starring Liu Shi Shi. I prefer wuxias so keeping this in the backburner for now other than the few times I catch it on TV. I would be disappointed though if the heroine ends up with the wrong guy. Similar to its prequel the Ballad of the Desert, our female protagonist must one again choose between two almost perfect men so from the audience point of view, it's a coin toss. A naive princess loses her entire kingdom for love. She is reborn as Jin Fu, a person with the magical ability to weave dreams. See episode recaps. Crying brides and broken hearts just about sums it up for me. 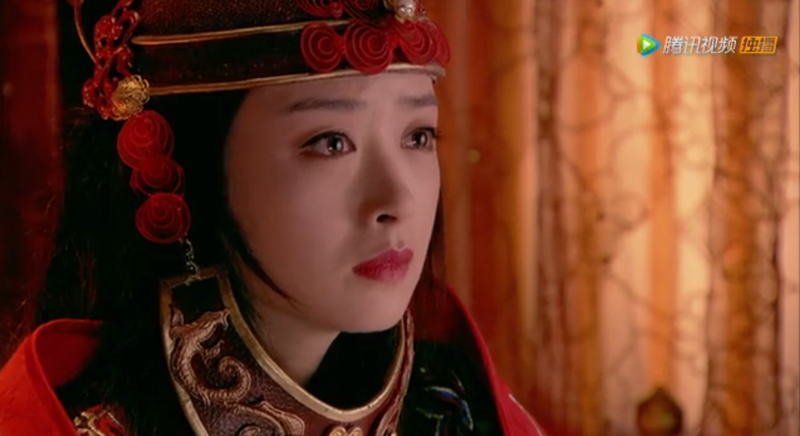 When Hua Qian Gu was born, flowers withered and her mother passed. These ominous signs foreshadow a dark future and she grows up ostracized by the villagers. She meets Bai Zi Hua, a master swordsman with mythical powers who swears to protect the mortal realm against demonic forces. Even though she is fated to cause his demise, Bai Zi Hua decides against killing her and takes her in as his disciple. Rong Jin Xiu's family was murdered in cold blood after she helps her former teacher who is a Chinese revolutionary against the Japanese. She goes to Shanghai to uncover the truth in hopes of avenging her family and meets Zuo Zhen, a mob leader feared by many. Huang Xiao Ming as Zuo Zhen is so manly, romantic, handsome, awesome and badass all rolled into one. I was hooked from episode 1 but honestly, the main girl began to seriously annoy me and the constant misunderstandings between the two really set the stage for a cruel romance. If I didn't have so many facepalm moments I probably would've said this was a must-watch. Yet another remake of the renowned detective TV series. The Four revolves around the four main characters as they solve mysteries and fight crime to uphold justice. Love Weaves Through A Millennium is a remake of k-drama Queen In Hyun's Man. It follows the romance between a man from ancient Chinese history books and his chance encounter with a budding actress from the 21st century. 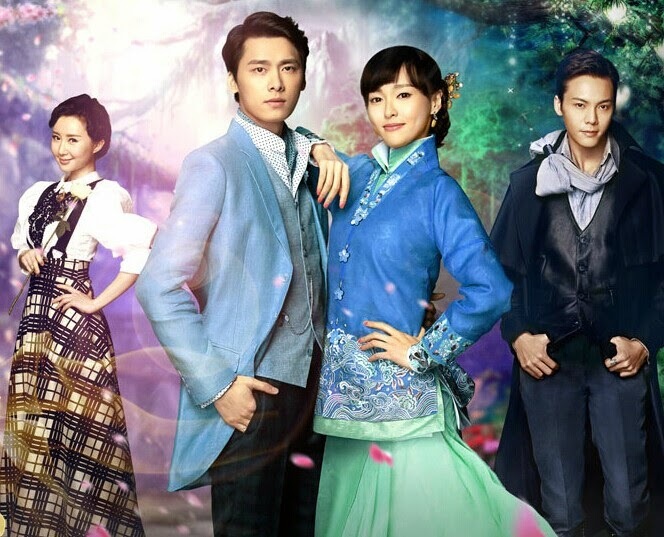 I like the original better but the c-drama, which is essentially a rehash of the former is not too shabby either. It might be weird coming from an period drama buff like me but I wish they focused on the modern day antics as it was much more interesting than the palace conspiracies. This drama revolves around the lives of people passionate about making the best fragrance in the world. 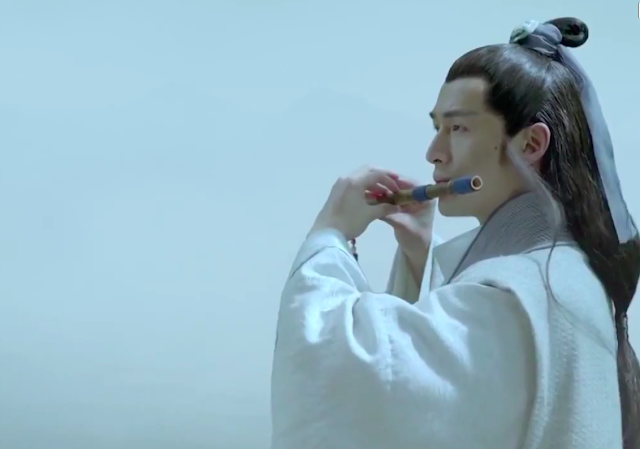 I started watching solely because it's like a Sword of Legends reboot with Li Yi Feng and William Chan as part of the cast. 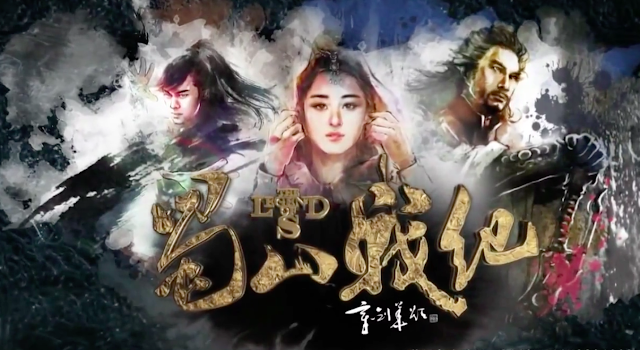 Shallow reason aside, it is not like Sword of Legends at all since this is a romance drama rather than an wuxia so it really depends whether this genre is your cup of tea. I might be a bit biased though since I like all the actors in this one. Is it a must watch, pretty good, just another drama, tolerable or downright boring? Jiang Yu falls for Wu Cai Hong but he finds out that she is the daughter of Wu Hong Da, the man who falsely accused his father back in the day, inadvertently causing his father's death and his mother's mental illness. Ten years later, Wu Hong Da dies and his company is on the verge of bankruptcy. Jiang Yu sees it as an opportunity to reclaim what was his though his actions raise the suspicion of Cai Hong. Unable to admit his feelings for Cai Hong, Jiang Yu takes her in as a nanny, further igniting a romance that is filled with heartache. During the 1930s, Jiang Xin is a lady on her way to being reunited with her affluent family but circumstances prevent her from doing so and she ends up losing her memory, becoming the fiancée of triad kingpin Bai Zheng Qing in the process. Du Xiao Han is a fugitive who stumbles into a life of luxury and extravagance after stealing the identity of Jiang Xin. Yet there will always come a day when the lies can no longer keep up with the truth. Lu Xiao Feng is a renowned martial artist in the midst of investigating an unusual disease plaguing the emperor. 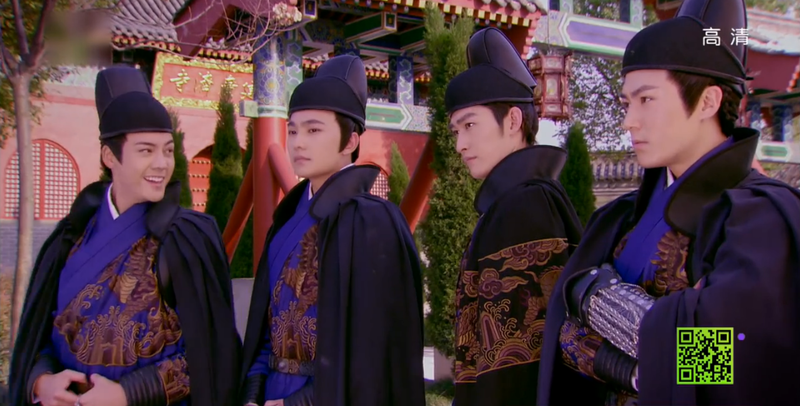 He travels to the Imperial Court of Jin Peng and meets Princess Shang Guan Dan Feng who advises that three officials may hold the answers to his questions. He also forges a friendship with famous doctor Hua Man Lou, Xi Men Chui Xue and Ah Xin , a woman who has loved him unconditionally. Liu An Shun is the leader of a Biao Men aka transporters who risk their lives to protect whatever is put under their care. Due to an unfortunate incident where one of his men commit suicide, Liu An Shun loses the trust and respect of his people and he leaves to work for another Biao Men. Thank you for your insight. I must watch Empress of China know, but can you tell me if there are any where i could watch it with Eng subs? myasiantv.com has empress of china subbed until ep 15. 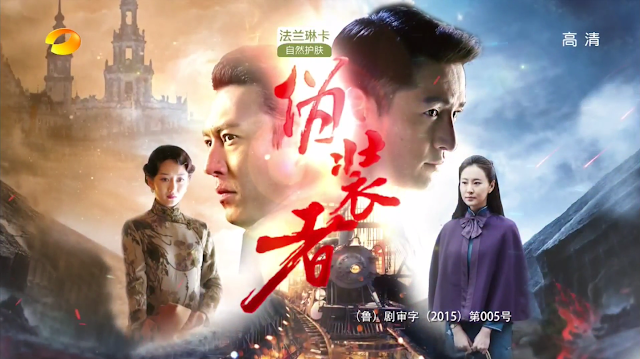 Dramacool subbed Empress of Chine until ep 43 and are subbing the remaining episodes it's one of the best historical dramas I ever warched (and I watched many of those ) so go on ! dramacool is almost done. they are on episode 74, 6 more episodes! The Journey of Flower just finished airing, so I'm curious whether your ratings is a reflection of the whole drama or just your initial impression. I am curious about what you think, as I just finished myself and thought it was pretty good. At least it's a must-watch for me, and I think it's likely to stay in my all-time favorites. Maybe I'm biased because I read and loved the book, but the drama was pretty decent overall. You know how hard it is to satisfy fans of the original material! The ending, though, was disappointing - they cut off a lot of the build-up, hopefully there's a director's cut that can fill in some gaps. If not, then I recommend reading the book (there are fan translations). Thanks for the recommendations. I have watched/skimmed most of it but I'm really waiting for dramas that promised to air this year but is still nowhere to be seen (Princess of Lan Ling). Sigh. Thanks for commenting. I haven't finished but I'm at the episode where she became blind and was exiled to some desert. Overall, thought it was ok but somehow it's just not doing it for me otherwise I would've finished it by now. Somehow I don't find her relationship with Bai Zi Hua that believable. 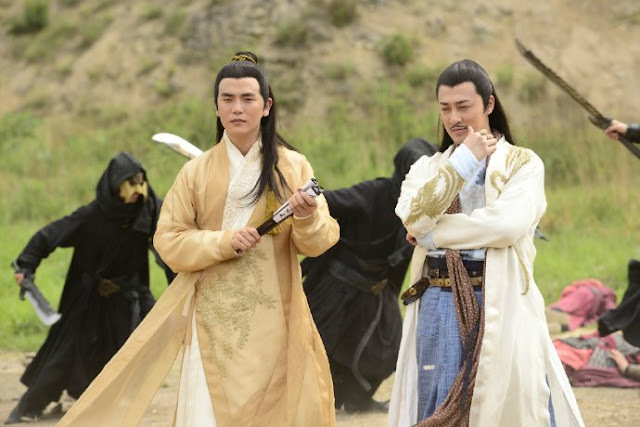 Call me old fashioned but I'll always ship Xiao Long Nv and Yang Guo (return of condor heroes) if i had to pick a teacher-disciple forbidden love story. or maybe it's because I hadn't read the book? Lol yes i know a lot of ppl agree with u. Are you watching Legend of Zu? I love Journey Of Flower, but the ending was weird. When it went to modern times, I got so confused I stop watch it. And also is Legend of Zu out? If it is, where can I watch it with eng subs? @Music Vue. The ending of series was weird because of China's sensorship -- they don't allow reference to reincarnation which is what happens at the end of the novel. The ending in the novel is really bittersweet and unsatisfying I don't quite recommend it if you were looking for happily ever after. I totally agree with you with The Romance of the Condor Heroes. I got really hooked with it the only downer was the side stories it honestly dragged the drama for me, which made the drama unnecessarily long. At some point I'd get confused at what was happening as well but overall I love your wuxia recommendations they definitely were the best! looking forward to more of your recommendations. i happened to watch Journey of the Flower one Sunday night at our cable here in the Phils. & got hooked on it.. but i think it was near at the latter part of the episodes, i wonder if it will be replay again at night tym.. bec i want to watch the first part.. it was a fantastic tv series, the actor and actress are so good.. the actions and love story theme makes me wish it were true in real life... i just love them!! Nirvana in Fire was one of the best dramas I've seen in quite a while. It was so well done. I thoroughly enjoyed it and agree it is a must watch for any fan of historically based dramas. I didn't care for Journey of Flower. I watched it until the end. I could have spared myself as I expected a lot more and it did not deliver. hi safiya - i could not agree more. And as for journey of flower Ill probably never finish it at this rate. just finished the final ep of Nirvana in Fire...it was superb & addictive. I was more than halfway last time and I actually just finished it now as well. It was so good. What to do now, have that empty feeling after watching an awesome good drama. Thinking about the main characters - well mainly Su Zhe who's my favorite but I like Meng Zhi, Fei Liu and the rest too but the ending..
Agree. Nirvana in Fire is one of the best I've watched for so many years. I think every has a different taste in drama. For me, K drama Six Flying Dragons is extremely boring. Although I like Yoo Ah In, I still can't get past 2 eps and eventually quit. I watched The Journey of Flower & I really loved it. Although I agree the later part of the story got cut off & cut off alot (compared to the Novel) but nevertheless, I am amazed by the chemistry Wallace had with LiYing. Noting that this is an ancient drama where Teacher-Student Relationship is an outright NO & forbidden, i do feel sorry for BZH having to suppress his emotions despite loving his Student so much. I hope hope hope that the version Taiwan is going to air will the real version & hope someone can post it online. The ending is somehow rushed. So many scenes are missing! If you like Wallace Huo, try his new drama, Love Me If You Dare. Pretty entertaining so far! Too thin though & weird hairdo (stylist problem). His Co Star is pretty sweet looking, she grew on me as the episodes went but I find her acting still lacking (maybe she's a newbie, give her some years). I know what you mean. The 'withdrawal'. I have this feeling with TJOF. You know that feeling of 'what the heck' ending is this? Where are all the other scenes? It's like you recite ABCDE than XYZ. Where are the rest? And the sequel of TJOF 2015 was terrible. Sidetrack : If you haven't watched SWAK, do give it a go. Hawick best performance in this drama I feel. Although the female lead could have been someone thinner & her wardrobe there was terrible. The wardrobe artiste definitely needs to go back to school! I watched Cruel Romance & didn't like the plot halfway. I haven't watched Nirvana (although I like Hu Ge in Legend of the Condor Hero), I have not watched any of his other dramas before. Sorry can't help you I have the same problem. If you find it let me know haha. I think it will only be out on TV in January unless someone decides to repost the VIP ones now. I ended up watching The Monster Killer / Wu Xin Fa Shi instead. It's pretty good actually also fantasy drama. I watch it on Maple Stage. yes nirvana in fire is very good!!! Watched Monster Hunter Wu Xin and agree that it was a great drama with a sad ending. Keep up the great work. Where can I watch naughty princess w/ eng subs? Thank you for providing a nice list to browse. Of all the listed series, I only enjoyed Nirvana in Fire and Wuxin fully. Then it's The Great Protector. TJOF had its moments, but there are a lot of supporting characters I didn't enjoy. The twins, Qing Shui, the mortal emperor. Jiang Xin's character, purple fairy, was too obsessive and monotonous. The last episode really ruined it for me. TJOF is a bit of an ode to an overwrought, uber-melodramatic love story. A series made with commercial returns in mind. Hoping to get a lot of female fans. Sounds like the movie right was sold for good money. So Hunan TV had to air a version with non-sensical ending? Bizarre. Some mainland series have strong acting and directing. It helps to have a great script. When that's the case, I don't mind if they slow down the pace a bit. It lets the actors' charisma and intensity shine through. It works for veteran actors like Liu DeKai, Wang Xueqi, Zhang Fengyi; or younger actors like Hu Ge, Lu Yi, etc. But if the leads are Angelababy, then it's better to have the fast-paced Tsui Hark type direction. Everything on the screen moves so fast, you don't even know that having a talking deer in the movie really doesn't make much sense. I'm referring to Tsui Hark's Detective Dee ... and the Phantom Flame. The Great Protector is reasonably well done, but there are some weaknesses. The topic is heavy. Unlikely to appeal to idol drama fans. But it's good for people who want to learn about the culture or scenery of Shanxi province. Actress Jia Qing gives uneven performances in most roles that she does, including here. Kind of weird when she is placed next to a veteran actor like Ni Dahong. 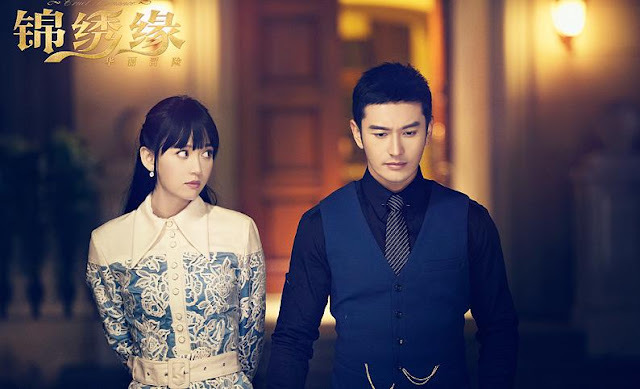 Cruel Romance is still watchable, but both Huang Xiaoming and Chen QiaoEn had given much better performances in other series. Producer(s) and director(s) are also after the same monetary goal as the TJOF team. A few scenes are very unrealistic like Joe Chen the affluent country girl from Zhen Jiang of Jiangnan playing the piano w i t h gloves on. And supposedly quite good at it. It is the same lack of realism as Legend of Fragrance when 2 men were shooting guns, with their guns right next to a lead girl's ears. Substance is completely sacrificed for what is perceived as style. Thank you for your comments. Although, I am one of those who couldn't appreciate the Great Protector probably because I have become one of those idol drama fans:) I shouldn't generalize though because I couldn't fully appreciate TJOF as well, and I'm sure we're the odd ones out. As for Nirvana in Fire and Monster Killer - 2 very different dramas but yes, both are golden. Thank you, Anne, for all your generous efforts on this blog! where can i watch Wuxin: the monster killer with eng subs? Where do you watch naughty princess with eng subs? I also like Chinese Dramas as like others. I also love to watch hum tv dramas having a great message regarding love, love with humanity and social issues as well are discussed here. 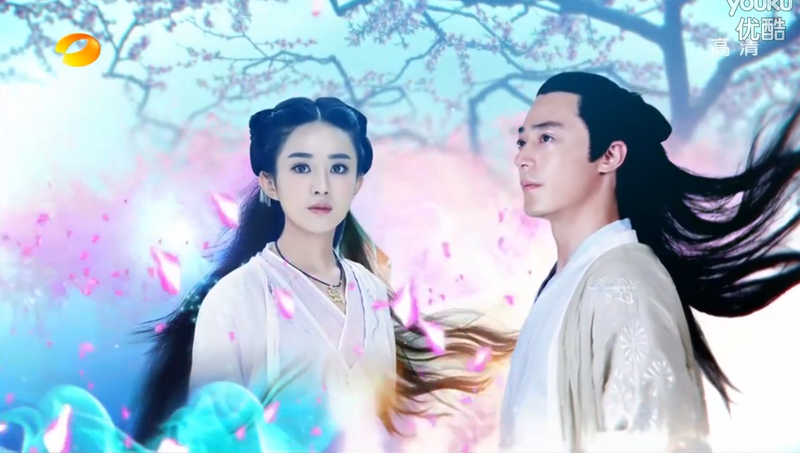 journey of flower is amazing.i love everything about the drama , return to condor heroes is boring i don't like the main actress. can i know where i can watch all that drama with eng sub on it? ?